Trivia: Aamani played a negative role as elder sister of Harish in this film. Trivia: This is debut film for both Monika Bedi and Sanghavi in Telugu. 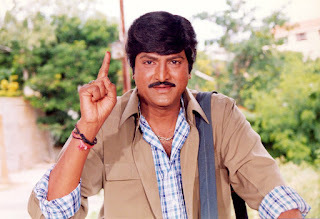 Trivia: This was Tamil actor Mohan's first movie in Telugu. Trivia: Sudhakar Reddy, one of the producer, is the owner of five star hotel Savera, Chennai and Karunakar, the other producer, is the nephew of Sridhar, owner of Rajyam Pictures. Trivia: This is debut film to actor Rajasekhar. Trivia: This is first film for director Uday Shankar in Telugu. Synopsis: Veeranna (Balakrishna) is grandson of Mangamma (Bhanumathi). Anitha is her daughter and Gokina Rama Rao son-in-law. 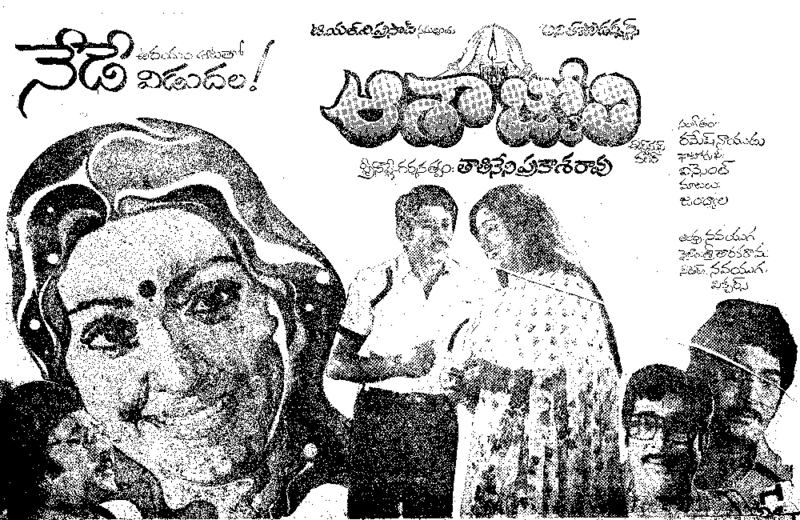 Malli (Suhasini) is their daughter and grand daughter of Mangamma. Mangamma does not like her son in law family resulting in frequent quarrels. But Balakrishna and Suhasini loves each other. Yeleswaram Ranga is big rythu of neighbouring village. He does not like Mangamma. Every year there used to be bull fights. Rama Rao bets in the race and promises to marry his daughter with the winner. The opponents cheat them and wins by controlling the bull. Rama Rao commits suicide. They attacked Balakrishna. He killed them and runs away from the village. Everyone thinks he is dead. Finally he returns from Military service with a girl he would like to marry. The reasons behind the twist is rest of the story. Trivia: This is director Kodi Ramakrishna's first film as a lead actor. Earlier he acted many stage plays in his college days. 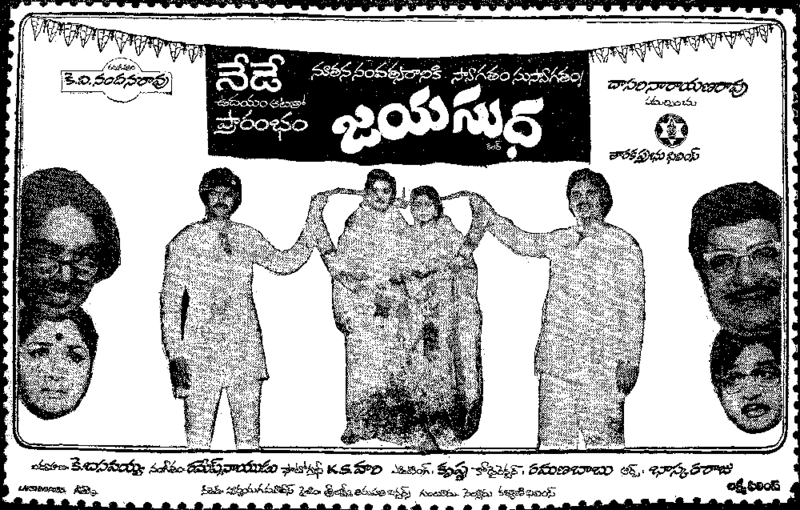 Trivia: Raghunatha Reddy, the producer, earlier made a film 'Ramudu Rangadu' with other partners. 'Cinema Pichchodu' was his only film as a lead actor. 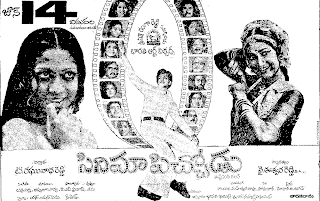 Trivia: This is debut film to Suman and Syamala Gowri in Telugu. 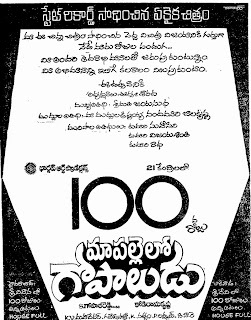 Trivia: This is first straight Telugu film to S. Gopala Reddy as a producer. Initially, he produced a dubbing movie. 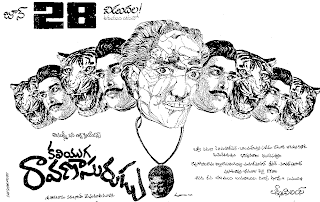 Trivia: This is debut film for Kodi Ramakrishna as a director. K. Raghava, the producer, initially introduced Dasari Narayana Rao as a director with the movie 'Tata Manavadu', and now introduced Dasari's assistant Kodi Ramakrishna. This is debut movie of Gollapudi as an actor. Trivia: With the song 'aashayaala pandirilo', Adrushta Deepak introduced as a lyricist. 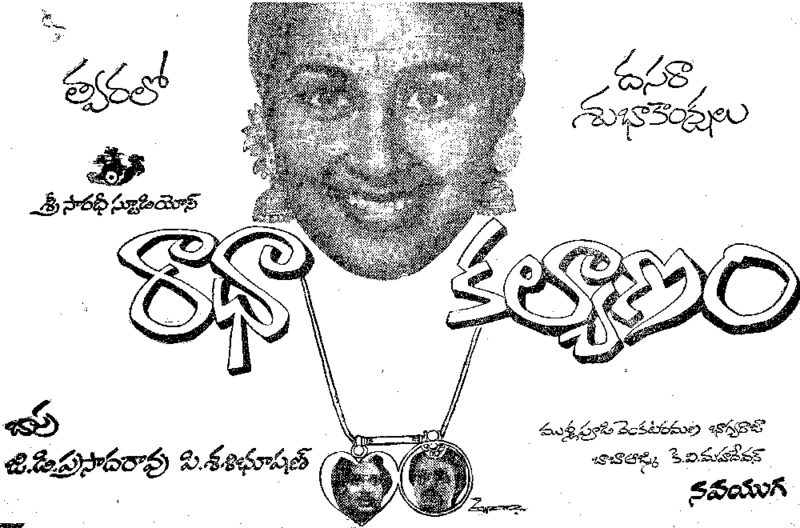 Trivia: This is debut film for Suhasini as a heroine in Tollywood. This was debut film for Siva Prasad as an actor. Trivia: Ravi Teja did a negative role in this flick. 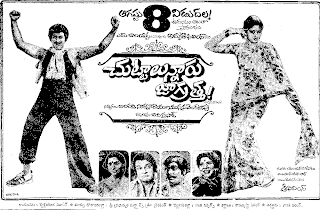 Trivia: This is the only movie that C. Narayana Reddy had written songs, produced by Annapurna Studios. He had written only one song for Jagapathi Pictures for the movie 'Adrushtavanthudu'. And one song for Usha Kiran Movies for the film 'Kanchana Ganga'. Trivia: NT Rama Rao has been inspired so much of Prithviraj Kapur's role as Akbar in 'Moghal-E-Ajam' and want to do that role. So he made this movie. 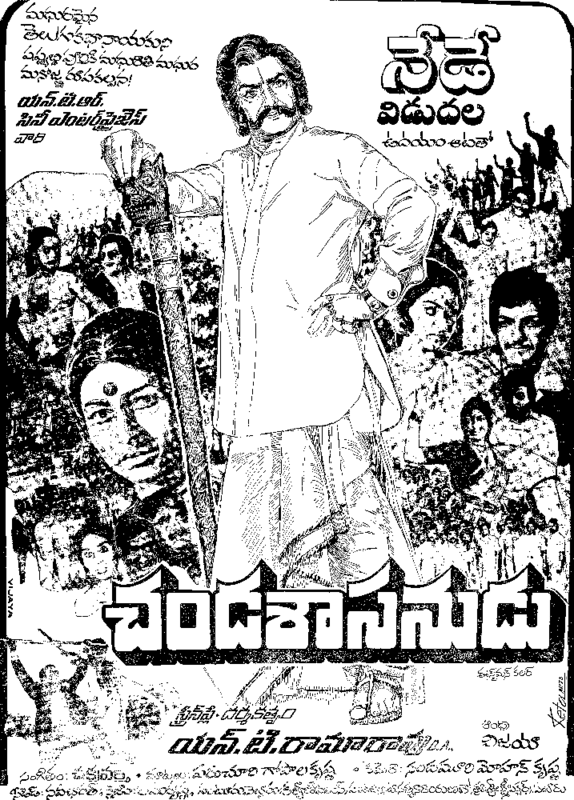 After 'Ekaveera', C. Narayana Reddy had written dialogues for this movie. The songs in this movie got instant hit but while the movie flopped at box-office. 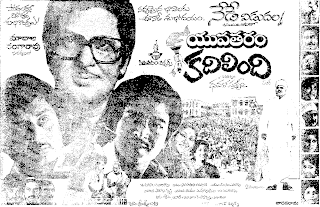 Critics opines that NTR's dailogue diction like Prithviraj Kapur, miscasting of Saleem and Anarkali roles and dialogues of C. Narayana Reddy are the reasons behind the box-office result. 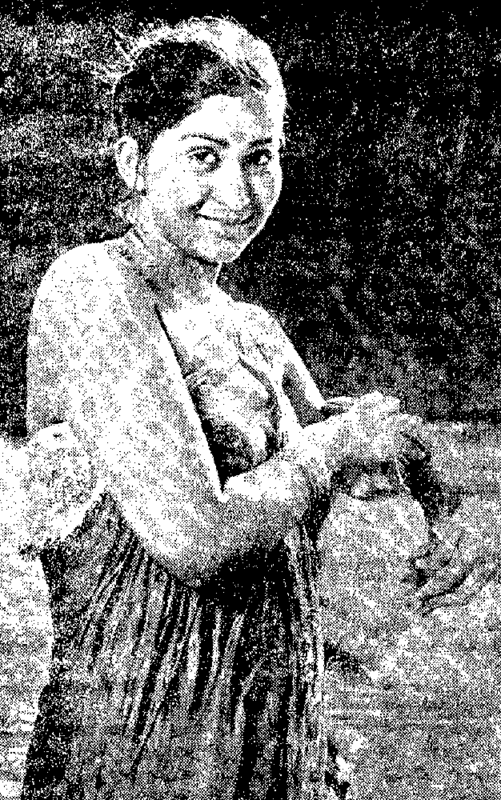 Trivia: Vanisri done her role without make-up. 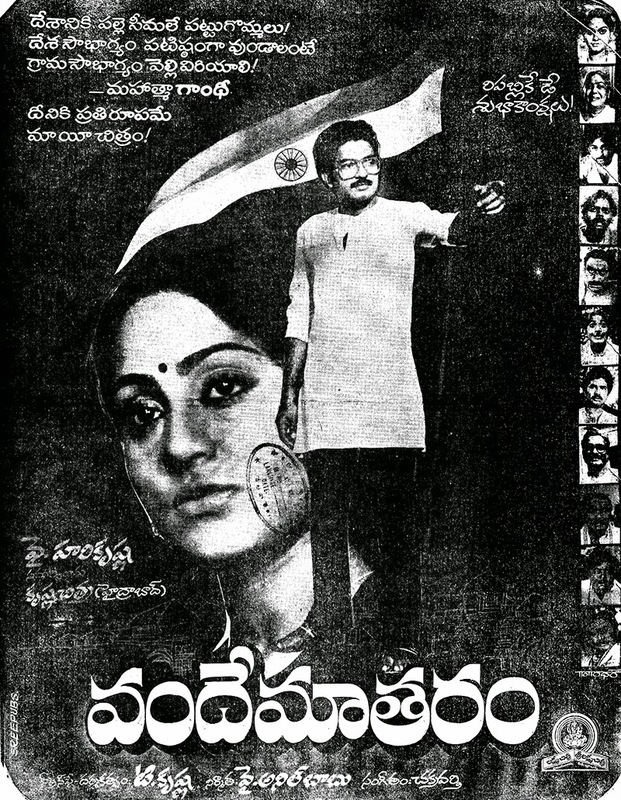 This was based on the novel 'Oka Deepam Veligindi' by Ghandikota Brahmaji Rao on the name of Nerella Ramalakshmi, his elder daughter.